Mamma Roma first opened its doors in 2005. We are a family restaurant run by brothers Rino and Bruno. Before opening Mamma Roma, Rino graduated from the Angelo Celesti school of hospitals and later worked in some of Italy’s finest restaurants, eventually having the pleasure of working as a sous chef for one of Italy’s top chefs, Piero Scaletti. Meanwhile, Bruno attended law school at the Federico Second University of Naples while gaining experience working in the restaurant field as a server. Our restaurant expertise doesn’t stop there! Our roots and recipes go back to the 1950’s, when our family started a chain of restaurants, Mamma Lucia. We will be offering their jarred sauces and fresh Italian bread at the market. 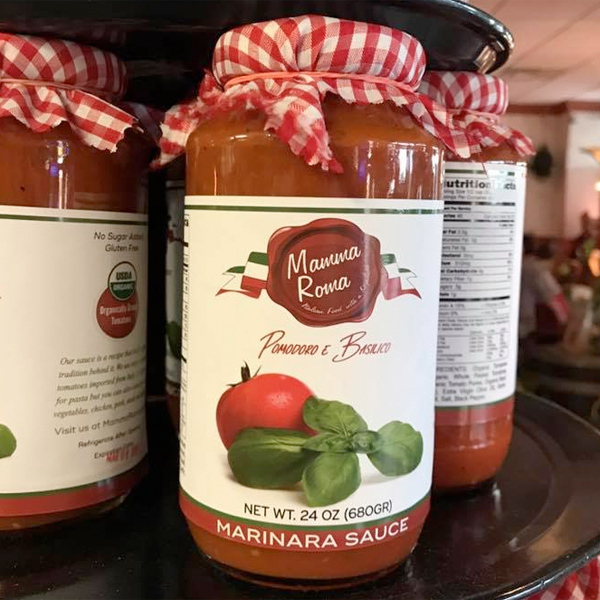 Incredible food and unparalleled service from our family to yours, Mamma Roma. Visit their website and follow them on social media below.